Protect your golf equipment from the elements in this lightweight waterproof stand bag from BIG MAX. Constructed with waterproof material, zips and seam sealed to prevent any moisture getting inside. 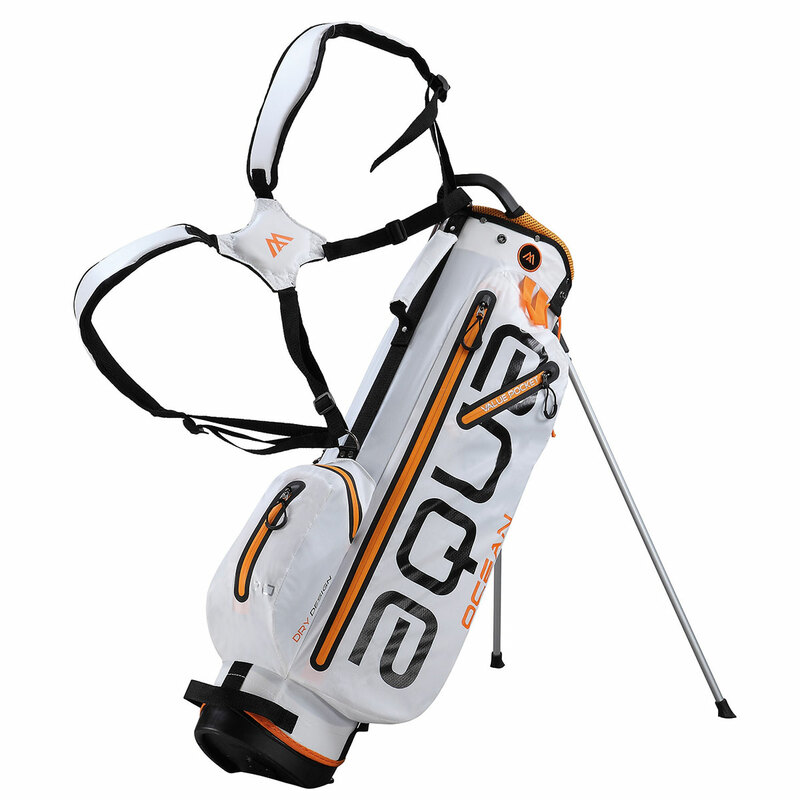 The bag has an oversize top cuff, with transport handle to lift to and from your mode of transportation, and has a leg lock system for use with golf trolleys. The 4-way organiser helps you to set out your clubs, with full length dividers to keep your clubs separated for easy retrieval. To keep you fully organised, 5 pockets with waterproof zips help to keep you possessions dry and protected, these include a cooler pocket. 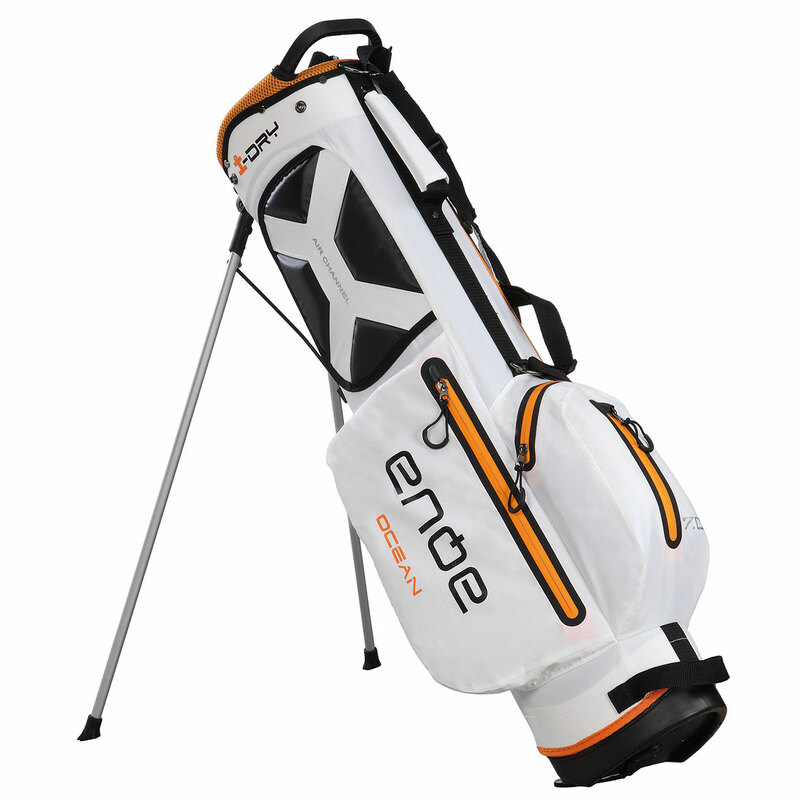 For ease of use the bag has a dual padded shoulder strap, an automatic stand, has an umbrella, glove and towel holder. Weight 1.7kg and comes complete with rain hood.